Few managers would reject the idea that the need to adapt to changing market conditions is essential for survival and success. Why then do so many firms struggle with the process of adaptation? As mysteries go, this one is not too difficult to solve—at least on paper. Almost everything about how we run our businesses focuses on optimizing efficiency by simplifying processes, minimizing costs and doing more of what works at a declining cost in pursuit of maximizing profits. We wire our organizational thinking and our leadership and managerial practices to market, sell and support more of what we make or do. Our investments and our improvements are linear in nature and support the theme of doing more of what works at progressively lower costs. A quick review of most firm’s product and project development pipelines illustrates this principle at work. The gross majority of approved projects are focused on extending existing offerings by adding new features or mildly tweaking size or form factor. Instead of looking at discontinuous investments in new or emerging markets to fuel future growth, we place all our bets in the here and now. Think about the increasingly mature smartphone market where new product introductions are increasingly met with a yawn and providers struggle to eke out sales gains from these upgrades—a far cry from the stampede to upgrade they experienced with earlier versions of their offerings. 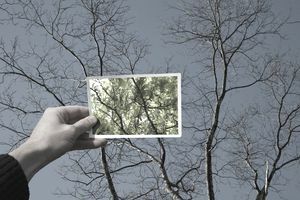 While we are busy chasing efficiencies to reduce costs and tweaking our popular offerings seeking incremental gains in sales, the failure to adapt has even deeper roots in our organizational cultures and in ourselves. Our organizational cultures develop over time to reflect the values, personalities, and priorities of the people involved in building, growing and sustaining the firm. A startup is often a direct reflection of what’s important to the founding team. This view of the priorities of the firm lingers long after the startup phase has passed, skewing thinking about new ways and different markets and approaches. Long obsolete practices and thinking are codified as "Our Firm's Way" requiring it to be followed much like a recipe. The pressures of doing things by following the firm's recipe and the human resistance to change naturally suppress the urge to look for or do things that potentially conflict with these idealized views of the organization. Investing in unlike or different activities is counter to what people in the firm express great pride for in their daily work. A fierce commitment to serving customers with the know-how and offerings that the firm is expert at providing drives a never-ending stream of linear improvements to processes and offerings. A dominant logic emerges that finds managers and leaders framing issues and opportunities based on their collective experiences over time. In a strong culture with long-tenured employees, all of the framing takes place through the lens of the firm’s past. As humans, we are wired to view change as unfavorable, particularly when the status quo is comfortable and arguably successful. We do not voluntarily seek out the opportunity to disrupt processes and approaches that are working yet that is fundamentally what we must do. We end up fighting human nature and nature wins every time. Efforts to pursue discontinuous change are blocked or frozen, either passively or actively. Strategy becomes an exercise in justifying more of the same and new investment efforts in new arenas or with new technologies for different customers are starved for resources. The operation of the firm moves from a virtuous cycle drawing upon the successes of the past and what works to a vicious cycle of repetitive activities that no longer work in a world where everything has changed. Kodak, the once great film giant actually invented the digital camera, but ultimately lost out because its culture and old way of thinking failed to recognize the new rules of digital. As outlined above, the organizational, cultural and personal forces resisting change are strong. Overcoming the gravitational pull of the present is a significant leadership challenge. Gaining support for the need to change is a full contact leadership activity. Recognize that promoting and gaining support for the active pursuit of “new” is a profoundly difficult task that cannot be achieved by giving lip-service to the topic. This work becomes one of the core functions of a firm’s managers and senior leaders. It must transcend just moral suasion and verbal dialog and extend to key strategies and measurable objectives. Leaders must articulate the need as well as teach, model and reinforce the needed behaviors. Avoid the classic mistake of insulting or trivializing the past. Often the words around change sound and feel like a slap in the face to the firm's history, alienating those who participated in creating the successes of the past. Instead, the history should be celebrated, particularly as evidence that the firm was able to overcome obstacles and solve problems. Acknowledging the spirit and creativity that led to past successes is essential for building the future. Praise the past but educate on the need to use the tools of change to build on those victories. Make exploration and identification of new opportunities a visible priority. A firm’s leaders own the task of bringing the pursuit of new and different to life, not only through constant verbal reinforcement but through actions and rewards. From funding new ideas for exploration to celebrating lessons learned with failed experiments and celebrating new victories in big ways, constant, consistent reinforcement of the need to change is essential. Build a time machine. While it is unlikely that you can rewrite the rules of physics as we know them, it is imperative that your people and your investments take into account multiple time horizons. Use the Horizons Model where the plans and activities are divided into time frames referencing the next year, the next one to three years and beyond three years (horizons 1,2, and 3 respectively). Recognize that investments will be weighted to horizon 1, but that you must have some material percentage of efforts looking at new activities in both horizons 2 and 3. Make external scanning every employee’s business. Often, in firms struggling to adapt, the work of external scanning and new idea development are constrained to a few positions with the term “strategic” in their titles. This older, restrictive approach no longer hunts in a world where everyone has access to vast volumes of data in real time. Instead of suppressing ideas and input, find ways to engage and involve everyone in looking for new ideas and opportunities. Draw upon the tools of internal social media and learn and apply the concept of crowdsourcing to idea development. Know the links in the chain of success. The keys to success with this work of drawing input from employees include curating and making visible the many ideas that are generated and facilitating an “ideas to actions” process. Actions require investment and patience, and most firms are too quick to allocate investment away from horizon 2 and 3 initiatives in pursuit of near-term challenges. Without support for these processes, initiatives will die due to loss of interest. And remember that without a solid pipeline of horizon 2 and 3 initiatives, future success is in jeopardy. Leverage new ideas and approaches as growth opportunities for employees. While often we need to hire new skill sets to succeed with different technologies or business approaches, make certain to find opportunities for willing and capable legacy employees to get involved as part of their own growth and development. Not every person is or should be eligible, but many curious and capable people will relish the opportunity to reinvent themselves as part of the process of reinventing the firm. Use successes to fuel the fires of change. From celebrating small and big victories to creating conventions to capture and teach the lessons learned in pursuit of change, this work must become part of the operating routine of the firm. Don't preoccupy on just short-term results with horizon 1 activities. Create visibility for horizon 2 and 3 work via carefully tailored scorecards that reflect the right measures for future initiatives. Ignoring the need to change or simply acknowledging the challenge without actively supporting it leads to a firm’s demise over time. All of us must become time travelers, working in the here and now while helping support the creation of the future. It’s time to teach our employees that fearing change is irrational when what we should truly fear is avoiding the need to change.